← So You Think You Can Multitask? Meditrend Inc. was founded in 1980 in order to provide innovative solutions designed to improve the quality of health. 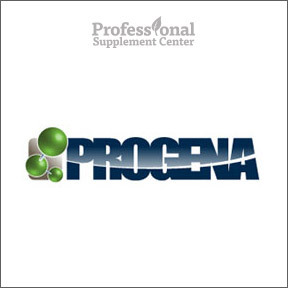 Progena Professional Formulations, their line of scientifically based nutritional products, provides over 150 unique formulas that incorporate 20 years of collaboration and expertise in nutritional medicine. Allergena, a safe and effective line of homeopathic allergy remedies, is formulated for 9 different geographical zones to provide allergy symptom relief specific to local trees, weeds and grasses in that particular region of the U.S. All ingredients undergo strict quality control for consistent purity and safety. Products are manufactured in an NSF GMP Certified facility. Osteo Plus – Rated 5 stars by our customers, this advanced bone formula provides Microcrystalline Hydroxyapatite (MCHC) plus magnesium, vitamins D3, K, B6 and essential trace minerals in support of healthy bone structure and bone and joint function. Gluten, soy and dairy free formulation. Allergena GTW – This homeopathic dilution is formulated to support the body’s immunity and provide temporary relief for symptoms of allergies including sneezing, itchy eyes, runny nose, sinus pressure and congestion. Available for zones 1 – 9, Allergena GTW helps to enhance the drainage process and remove antigen residue. All remedies are prepared under the standards of the Homeopathic Pharmacopoeia of the United States (HPUS). B12 Folic Acid Sublingual – This highly rated product provides 1000 mcg of vitamin B12 as methylcobalamin, plus 800 mcg of folic acid and 10 mg of vitamin B6 in support of healthy cardiovascular function and a healthy pregnancy. Natural strawberry/raspberry flavor. Gluten, soy and dairy free formulation. Allergena Mold Mix – This homeopathic dilution is formulated to support the body’s immunity and help build a strong immune defense to help fight allergies specific to indoor and outdoor molds. Use of this product facilitates the reduction of the body’s negative reaction to allergens and assists the body to become safely conditioned to tolerate the allergens and reduce symptoms of allergies. Non-drowsy, gluten free, Non-GMO formulation. Prodophilus – This product supplies 10 billion CFU of viable probiotic microflora in support of enhanced gastrointestinal and urinary tract health and immune system function. Contains Lactobacillus acidophilus and Bifidobacterium longum. Gluten, soy and dairy free formula. This entry was posted in Home and tagged Allergena GTW, Allergena Mold Mix, B12 Folic Acid Sublingual, Osteo Plus, Prodophilus, Professional Supplement Center, Progena, Progena/Allergena, Vitamins and supplements, www.professionalsupplementcenter.com. Bookmark the permalink.